Bible Truth Apostolic Church is a church founded on the word of God, baptized by His Spirit, having outstanding services where the Spirit of God can move freely and make any area of our lives whole. 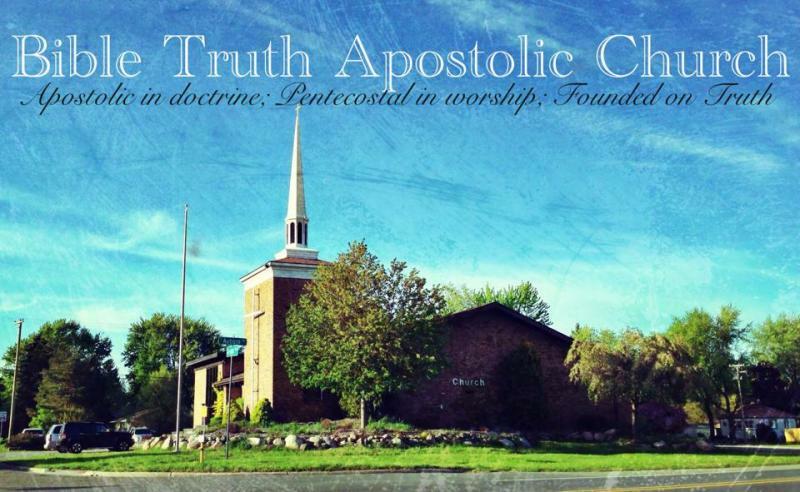 At Bible Truth Apostolic Church we strive to be the kind of church described in the Bible. It is a church where God is experienced, anointed and powerful preaching and teaching is received, worship is celebrated, friendships are cultivated, and prayer is practiced. Our church service is one that starts with praise and prayer, then as the Holy Ghost leads and guides us through the service we have worship, testimonies, preaching and we end with prayer and praise. This seems like a simple discription of a gerneral guide of our service. But since we don't have a set program and truly allow God to do as He desires, it is His church after all, that no two services are a like. In a church service there is total participation allowed. As this is just as much your salvation as it is the preachers. God has been known to heal and deliver during the preaching, not just at altar call or during choir. What are you to expect; a family of strangers that God has delivered, filled with the Holy Ghost and truly becoming the bride of Christ, worshipping, binding together in unity and allowing God's truth to deliver them from the bondages of sin and death. 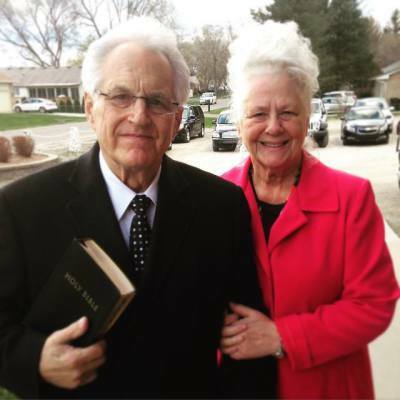 God called them out and from that point on they have served the Lord with everything they have. All their heart, mind and soul. All their time, effort and substance. For all their family and all who will hear the gospel of glad tidings. They have given their all and all of us are proud to be apart of it. We love our Pastor and Sister Davidson!!! When you want to learn what the bible really says, instead of wondering about this great book; a bible study is the perfect way to go. 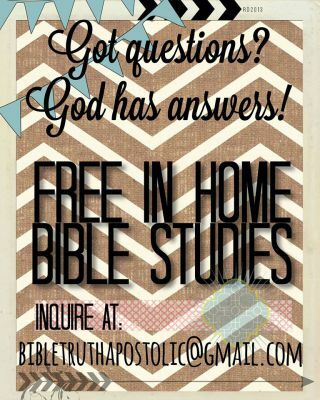 We offer two different types of bible studies, a two day bible study and a search for truth class. Both of these can be done either at the church or in the comforts of the home. Email us for more details and to schedule your study today.